Agnar Sverrisson's dish comprises of many component parts — each as delicious as the next. 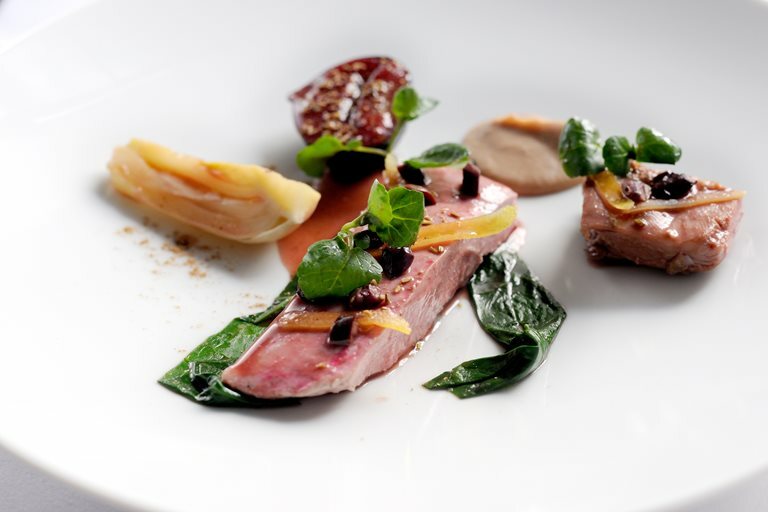 The aniseed flavour of fennel works well against the figs which perfectly tie together this duck breast dish. To plate, cut the duck breast in half and remove the bone from the duck leg and cut into two. Spoon some sauce into the centre of the plate. Place a droplet of purée onto the side of the plate.